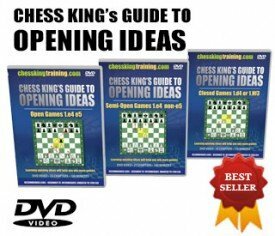 Welcome to the new Chess King Training Chess DVD and Chess Software Megastore (Windows PC, Mac, iOS, Android) – New for 2018! 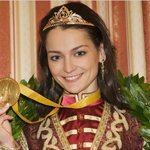 I’m the 12th women’s world chess champion and I personally will make sure you are happy with every chess download and DVD sold in this shop. 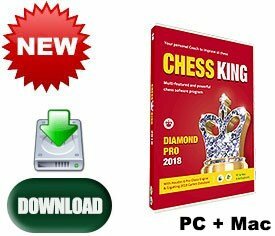 We have all the newest top selling and best Chess King software products, as well as a wide range of recommended chess downloads and chess DVD’s at the best possible prices. 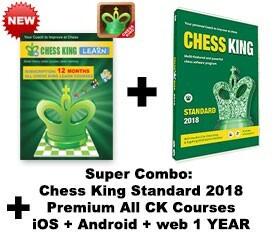 Since we are the official store for the online and learning chess site www.chessking.com, we provide free technical support if you have any installation issues or questions about chess programs, on PC’s, Mac, iPhones or Android devices. If you’re not sure what to buy, or have found any product cheaper somewhere else, send me or Diego an email and we will be glad to help. Just out! 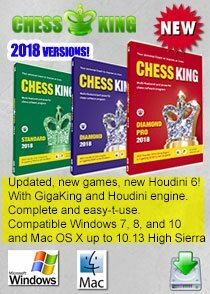 New versions of Chess King 2018 compatible with OS X 10.14 Mojave and with the strong engine Houdini 6! Look at our dedicated CHESS KING 2018 page for info about the new versions. 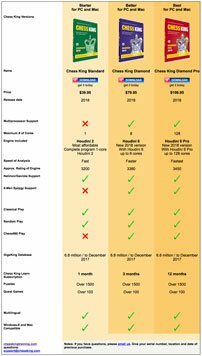 Check out also the CHESS KING 2018 COMPARISON page so you know if you need to or want to upgrade. 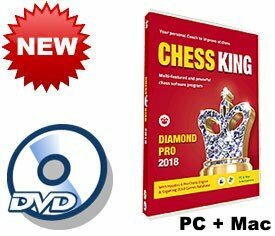 If you have a previous version of Chess King, use the discounted upgrade prices to get the new 2018 version. We continue to offer free 1/3/12 month subscriptions for Chess King Learn on web, iOS and Android with purchases of Chess King 2018 Standard/Diamond/Diamond Pro. It’s valid for over 60 courses on the web, and also on iPhones, iPad, and Android devices. Buy Chess King now to become the best chess player you can be! 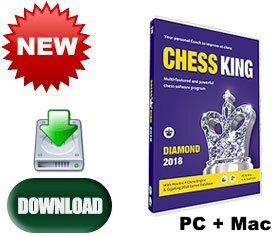 Chess King and Chess King Training specializes in Chess Playing Software, Chess Analysis Software, Chess Training Software, Database Management, Tactics and Strategy Training, Game Collections, for PC’s and Macs. We sell both physical DVD’s for PC’s or Macs or downloads. 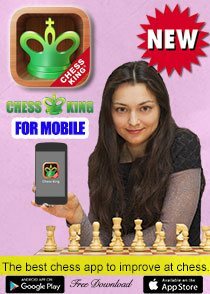 Since Chess King first came out in 2011, with our international team of engineers at Chess King, we have created the most easy to use and complete chess program available anywhere. 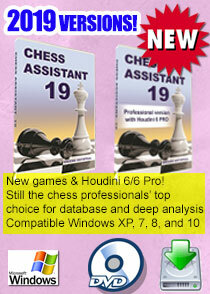 Our latest and best Chess King Software is now at it’s 6th generation and compatible with both Windows PC’s and Macs. 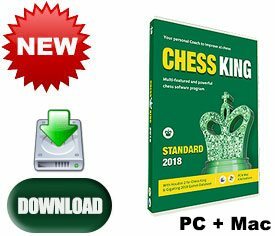 You will find in our chess shop the latest Chess King versions, as well as the whole line of ChessOK – Convekta programs, that are and have long been leaders in the world chess software market. 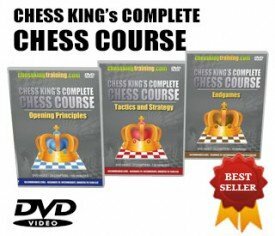 Besides interactive chess programs for all levels (beginners, intermediate players, club players, advanced players), we have instructional chess video DVD’s, chess books, and chess clocks. 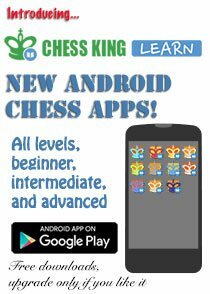 We are actively expanding our chess programs into other categories and already have dozens of chess programs Android apps available for download. As a rule, all our chess apps apps are free downloads which you can thoroughly test, and if you like the material, you can purchase full versions with hundreds if not thousands of exercises. We soon will have a whole category of chess apps for iOS iPhones and iPads. 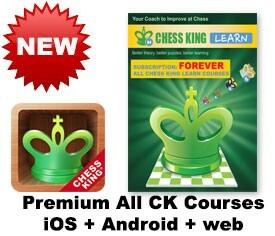 Our web-based online play chessking.com and chess learning platform Chess King Learn are growing fast. Don’t hesitate to contact Diego or GM Alexandra Kosteniuk to find out which chess product is best for you. Their life-kong experience in software development and in practical play will undoubtedly be able to advise you and give you the best choice. 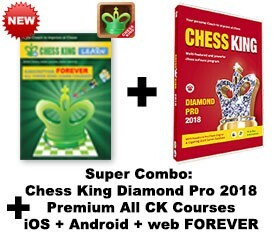 Complete Chess Playing and Analyzing Software like Chess King provides a partner anytime to play chess, at any selectable level you choose, from beginner to master, and after the game will help you improve at chess by analyzing in detail each and every move. 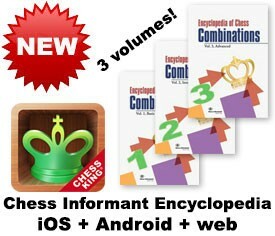 Chess King also includes the largest game collection GigaKing and a full opening tree so you can study openings. 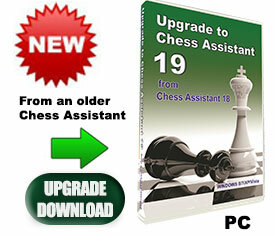 This is the best chess program to help you get better at chess, on PC or Mac. Suitable for all levels of play. Professional Chess Analysis software like Chess Assistant for PC include a grandmaster level Chess engine like Houdini which will find the best move in every position. 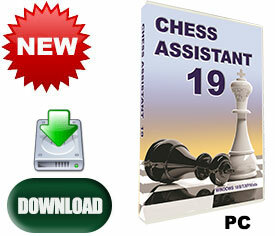 Chess Assistant is a leader in professional chess programs used by Grandmasters, with all the options possible for analysis. You can get the Houdini 6 version (supports up to 6 cores), or the Houdini 6 Pro version for maximum strength (supports 128 cores). 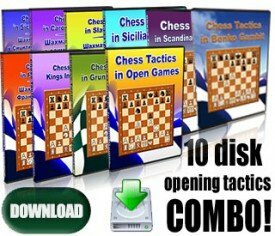 Chess Training Software like Chess King (for Windows PC or Mac) or all the Windows PC programs in Peshka interface provide thousands of interactive puzzles and exercises, so you can learn, test yourself, and practice in all areas of chess, openings, middle game (tactics and strategy), and endgames. 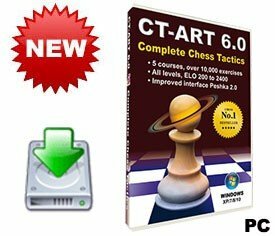 The software package CT-ART 6.0 which contains 5 courses (CT-ART Mating Combinations, CT-ART 4.0, and CT-ART for Beginners) has been the leader in Windows PC Chess Tactics Training all over the world since it came out. Database Management included in Chess King is a key element of Complete Chess Program packages like Chess King and Chess Assistant. They include huge databases of games (practically all the games worth having from the 16th century to our days) with full opening trees so you can quickly look over hundreds of openings lines and games. 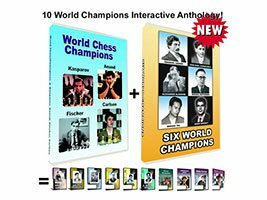 But best of all, in these chess packages, you can create your own database of personal games and analyze them fully, to find openings theory, novelties, mistakes and possible improvements for every chess move. That’s one of the key uses of chess apps. 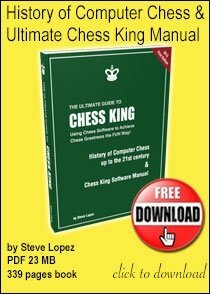 Chess King is the only leading complete chess package which includes playing features, analysis functions, educational puzzles, opening tree, and all database functions, in a complete easy-to-use package also for the Mac OS, from OS X 10.7 to Mac OS X 10.12 El Sierra (and all prior versions too). Contact Diego or Alexandra Kosteniuk for more info about chess programs for PC or Mac.